Free Classroom Management Software for Chromebooks | Planet TechEd Inc.
Search from hundreds or articles in our knowledge base. Submit a ticket or view your tickets under your account. Chromebooks have become more and more common among educational institutions everywhere. These devices allow the students to have the required features and all information in hand but with the use of technology in the classrooms can come to the distractions. A classroom management for Chromebooks that helps with the monitoring is in need but for some small organizations or non-profit, sometimes a free classroom management software for Chromebooks is the best alternative. It’s important that in today’s demanding market there are different classroom management software available so that the client can check to see which one of them offers better features, platform compatibility, and easier access. Providing a free classroom management software for Chromebooks helps provide the best features and tools for a teacher with the smallest classrooms. 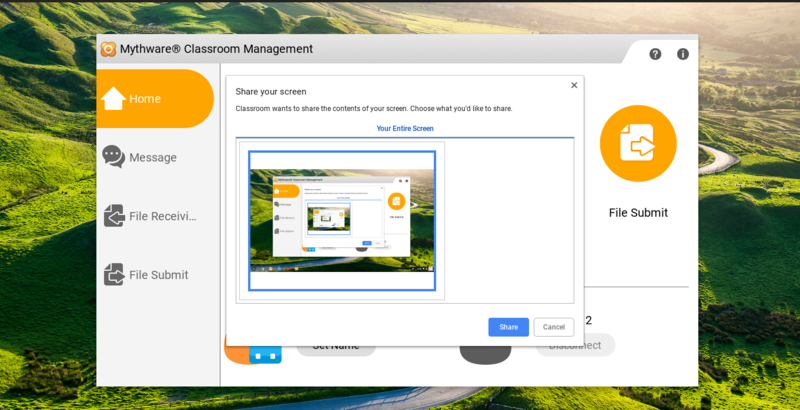 Using technology in the class can make the environment difficult and distracting but Mythware classroom management software for Chrome OS has proven to help every student focus. 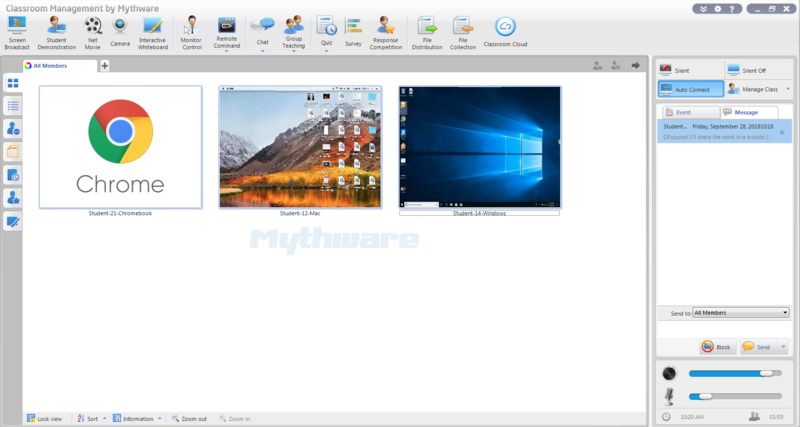 The best Chromebook classroom management software and for any other platform is Mythware, offer different features that no other in the market offers, providing both instructor and student with all the tools necessary to have an organized classroom and maintain focus from the students. Classroom management using Chromebooks for your students allows you to use your everyday device (windows, mac osx) to control, monitor and interact with your students. Quiz by answer sheet – Instructor can create a quiz at any point of the lecture to asses the progress of the class, instructors can import documents as quiz paper and edit on it to generate answer sheet, the students can answer on the answer sheet and also on the quiz and the instructor will get the results in real time. Group teaching – instructor can divide the classroom into separate groups and assign a group leader with the authority to manage the assignment given. Chat – instructor can create a topic chat to invite the students to join; chat with each student individually or create different group chats with different topics. Interactive whiteboard – share the whiteboard and content with the students, invite the students to co-draw with the instructor; draw themselves while the instructor supervise or select one student to make a demonstration. Multiple voice interaction – instructor can broadcast his voice with selected students, talk to them and monitor the voice of the student in real time. Net movie – streaming feature that allows the instructor to share media files in real time with the students. Response competition – help the instructor to test the teaching efficiency, students can answer vocally, write text or show the screen for the process done. 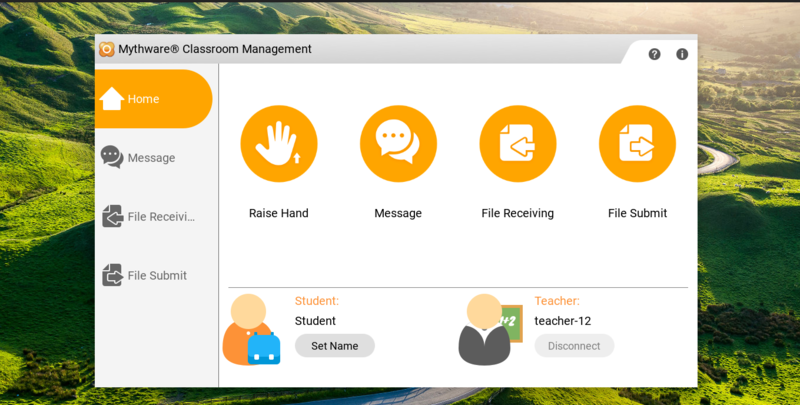 These are some of the features that Mythware classroom management software offers to help provide all the tools needed to achieve the success wanted, classroom management for Chromebooks can be as easy as always. The main concern for the Planet TechEd team is to allow every teacher to have the best solution without pricing being a problem. Free classroom management software for Chromebooks like Mythware helps every teacher to have the best technology for teaching. Start Improving Your Class Today. Copyright All Rights Reserved © 2015 | Designed By CodeTactic Media Inc.